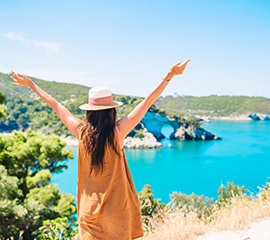 The residence Fontana Vecchia is located very close to the sea, in the centre of Vieste, a few steps from the beachfront and the tourist port and only two minutewalkfrom the bus stop. 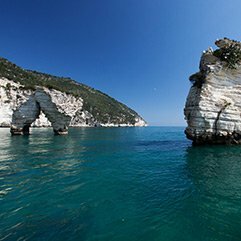 It is the perfect place for those who want to spend a peaceful holiday, while maintaining their independence and staying in wonderful holiday houses, in one of the most charming areas of Gargano. 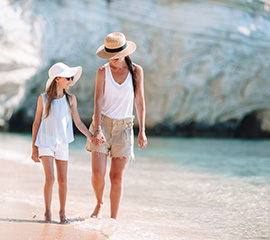 From our apartments in Vieste you can easily reach the beach and the picturesque corners of the city, without the need to use the car. 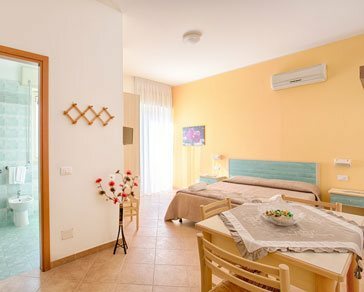 The structure has various types of apartments, among which you can choose the most suitable for your holiday in the Gargano: one-, two- and three-room apartments. 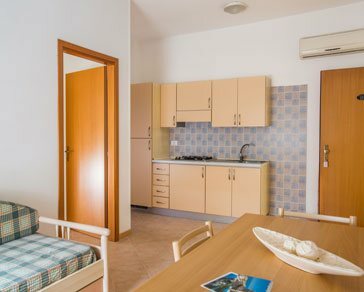 All apartments have a private entrance, bedroom, kitchenette with microwave oven and refrigerator, and are provided with the best comforts to make you live a peaceful and relaxing holiday by the sea. Located on the first, second or third floor, with private entrance, room with double bed or twin beds (to report at the time of booking) and kitchenette with refrigerator, dishes (no coffee maker) and microwave oven, air conditioning, TV set, bathroom with shower and hairdryer, balcony (22m²). Located on the first, second or third floor, with private entrance, room with double bed or twin beds (to report at the time of booking), living room with sofa bed (two slatted nets), kitchenette with refrigerator, dishes (no coffee maker) and microwave oven, air conditioning in the living room, TV set, bathroom with shower and hairdryer, balcony (40m²). 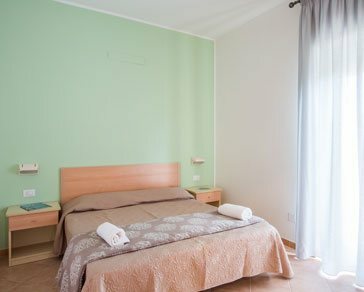 Located on the first, second or third floor, with private entrance, two rooms with double bed or twin beds (to report at the time of booking) and kitchenette with refrigerator, dishes (no coffee maker) and microwave oven, air conditioning, TV set, bathroom with shower and hairdryer, two balconies (42m²). 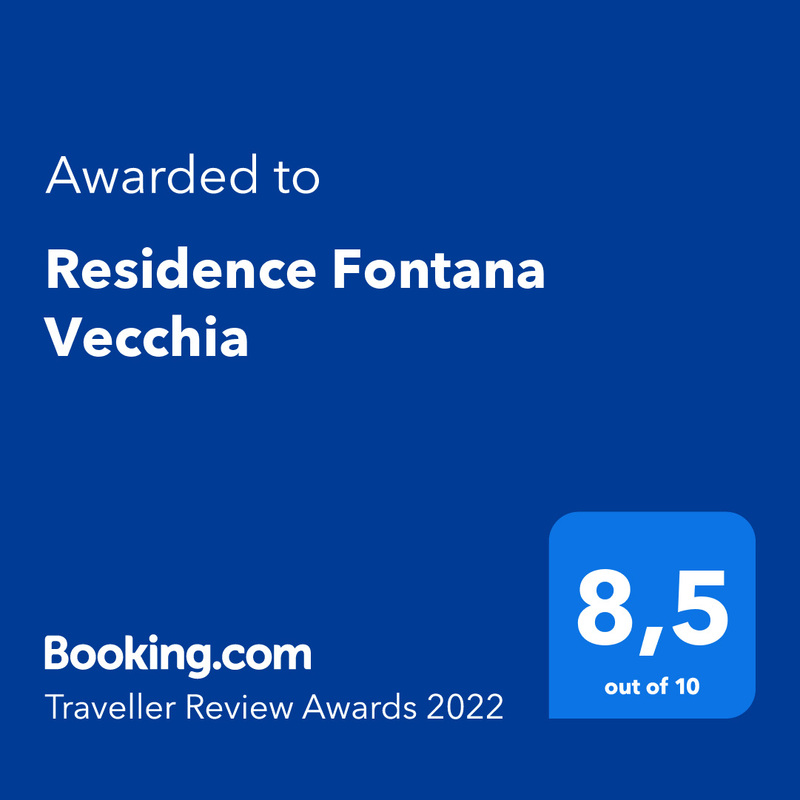 The residence Fontana Vecchia is the perfect accommodation for couples and families and is located a few steps from the sea of Vieste in Gargano promontory. Subscribe to our Newsletter to get more information on promotions and events for next season! 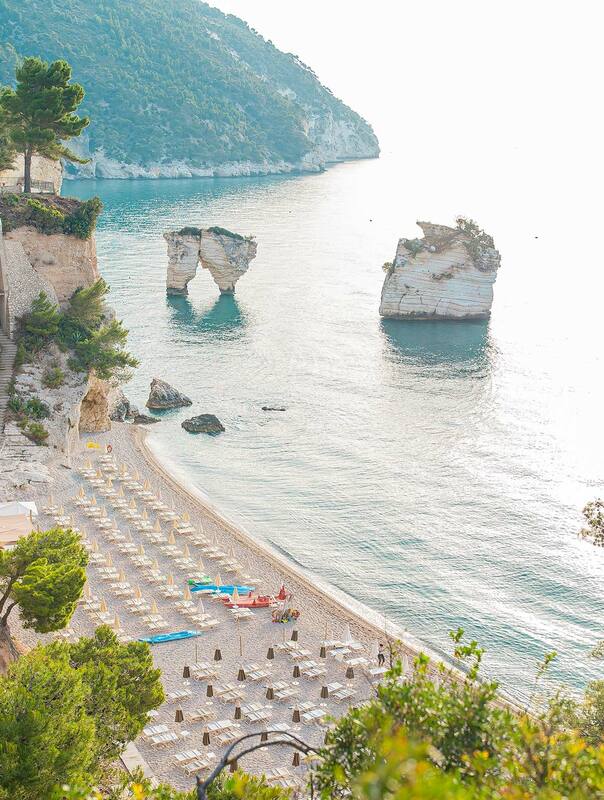 The residence Fontana Vecchia is located very close to the sea, a few steps from the beachfront and in the heart of Gargano National Park. 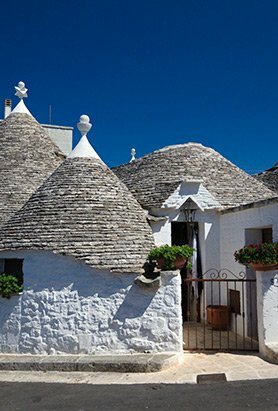 The location of the residence is the ideal starting point to explore the surrounding area: the evocative lanes of the historical centre, the Gargano hinterland with its variegated vegetation, the sacred places of San Giovanni Rotondo and Monte Sant’Angelo, the enchanted Umbra Forest, the fascinating coast punctuated by mysterious sea caves, etc..
A journey into the heart of Puglia to discover the "Trulli" of Alberobello, ancient dry stone buildings, famous throughout the world and declared by Unesco, and visit the enchanting caves of Castellana among the stalactites hanging from the ceiling, stalagmites, limestone formations on the ground and other bizarre shapes formed over the centuries. Departure only on certain days of the week on reservation from 7:00 at 19:00. 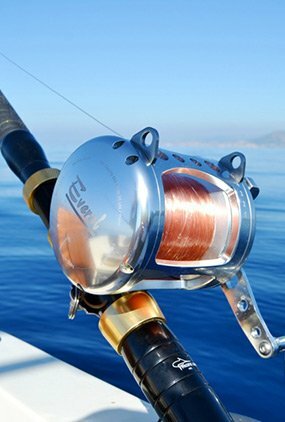 Learn about safety at sea, on the equipment, fish, bait type, the via ferrata, retrieving, unhooking, and fishing in mackerel and horse mackerel in 2-3 nm. from the coast. The fish will remain the property of the participants. 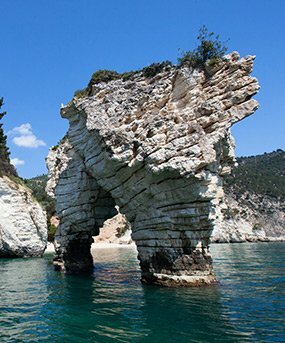 We will enter the heart of Gargano National Park of the Umbra Forest, through an amazing journey in the countryside, with our expert guides of the territory. You can choose from the daily trip from 9:00 to 17:00 with lunch on a farm, or the half day from 9:00 at 13:00 stopping appetizer. Photographic expedition looking for rare and exciting shots in altomare: dolphins, feeding frenzies, sunrises, sunsets, but also vessels at work, cruise ships, freighters and tankers from close range have absolutely spectacular images. 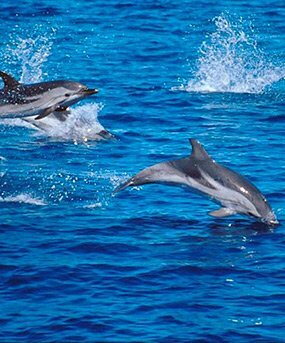 Over the seasons 2007/2008 happened to also see blue sharks (JAWS Mediterranean), Carretta Carretta Turtles and cetaceans. Deep sea fishing day single or teams of 2 or 3 items where components are divided the tasks and/or alternate image at various stages: fishing for live, the fight, the arraffio, etc. The type of prey and consequently of bait is dictated by species (yellowtail, Tuna, snapper, Mackerel, Dolphinfish, Sword, etc.) at that time fishing areas (forts, desks, etc.) 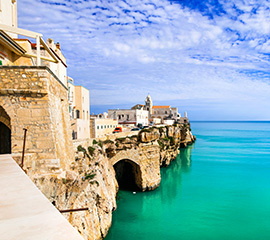 which are located between 7 and 20 nautical miles off the North coast of Vieste. The cruising and fishing will be about 10, except in return for reasons of force majeure (bad weather, rough seas etc:). The amount and size of fish will be in compliance with the regulations. 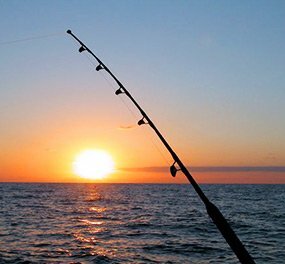 The equipment supplied for each individual or team consists of: 1 fishing rod fishing rod with reel 50 trolling alive, 1 lb, 2 weights 2-assembled for Big Game terminals, guardian, 3 artificial frames for vivo. Personal equipment allowed. Along the way, short stop at Umbra Forest to enjoy nature in the Pearl of Gargano National Park, a path that tells about the life, works and miracles to the Padre Pio Pilgrimage Church Sanctification through the sacred places: The sanctuary of Santa Maria delle Grazie, Chiesa di San Pio da Pietrelcina by architect Renzo Piano, Casa Sollievo della Sofferenza. Departure only on certain days of the week on reservation from 8:00 at 13:00, or from 14:00 at 19:00. 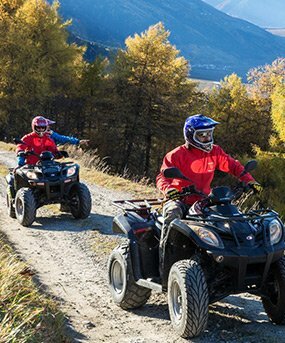 Quad bikes are single speed bikes on four wheels. You can drive with the B license, you can carry a passenger and require the use of helmets. 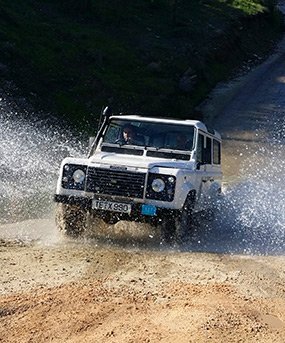 The hike is similar to the jeep safari and includes: quad rental, driving, helmets, insurance against third parties, fuel, technical assistance. You can choose between: excursion 2 Base hours (25 Km)-Long Hike of 6 hours (70 Km) with lunch at the farm. 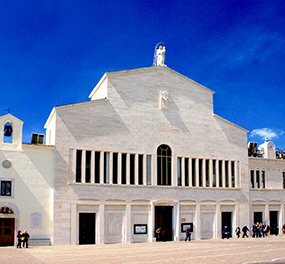 Daily departures to the beautiful islands quakes with passenger transportation around the archipelago, the sea caves of San Domino and the statue of Saint Pio of Pietrelcina. Complete the day of your visit to St Nicholas Island to discover its history among the monuments of the city. Residence Villa Coppitella – The ideal solution for a peaceful and relaxing holiday in Vieste, surrounded by an incomparable panorama.